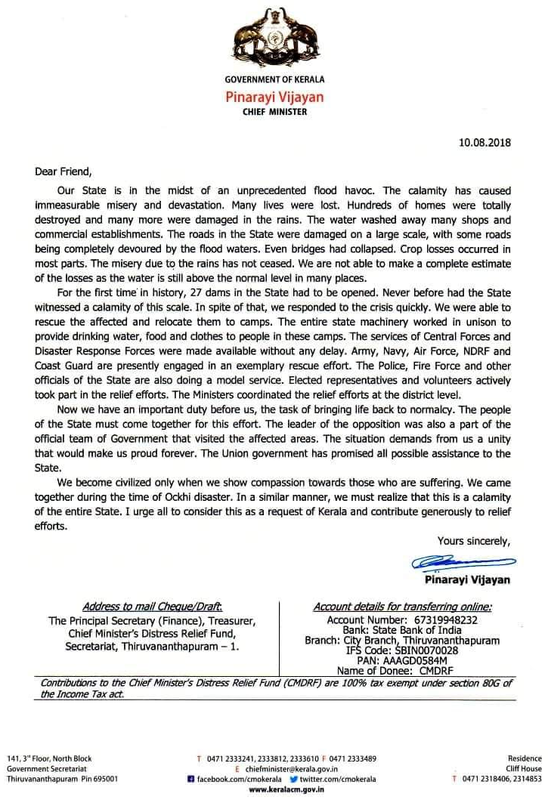 As you are aware, the people of Kerala is in the grip of unprecedented flood havoc. Please see below published APPEAL of Com. Pinarayi Vijayan, Hon'ble Chief Minister of Kerala which explains the seriousness of the situation. All affiliated organisations and COCs and also all well-wishers are requested to donate maximum amount to the Chief Minister's Relief fund in the address and Bank account shown in the below appeal, UNDER INTIMATION TO CONFEDERATION CHQ .